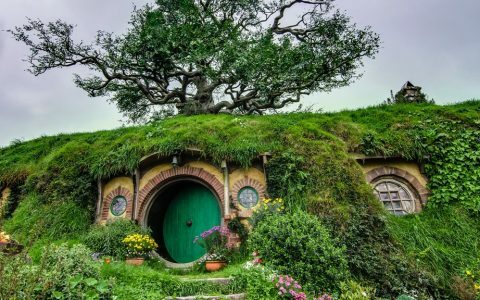 Behind Tolkien’s Books: Is Hobbit Pipe-Weed Really Cannabis? If you’ve ever read J.R.R. 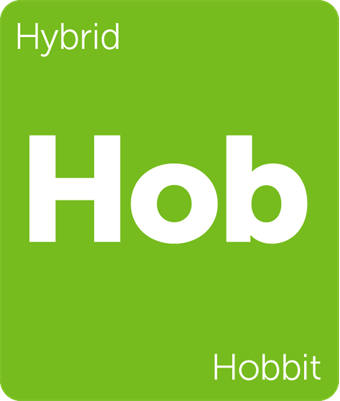 Tolkien’s The Hobbit or Lord of the Rings or seen Peter Jackson’s film trilogies, you probably recall that Middle Earth’s hobbits are particularly keen on this leaf called “pipe-weed.” It goes by names like Longbottom Leaf, Old Toby, and Southern Star – names that would much later be used by some cannabis breeders for their strains. 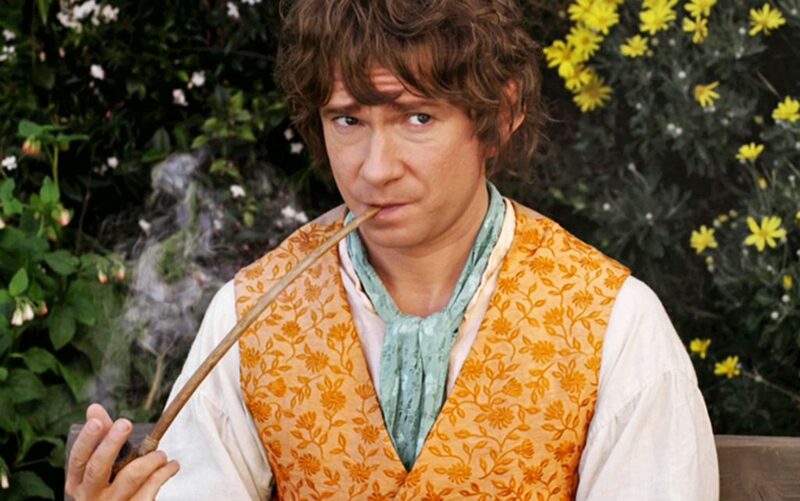 Though unsuspecting in the books, Jackson’s portrayal of the hobbits’ herb has given rise to fan theories posing the question, is it really tobacco in their pipes or might something else be growing in the gardens of the Shire? You don’t need to look further than the book’s appendices to know that Tolkien was talking about tobacco, not cannabis. Did that “probably” leave enough room for the imagination to bring in the possibility of a psychoactive alternative? If you’ve seen Jackson’s movie adaptation, you’d know the answer for many wishful thinkers is yes. But the subtle stoner-isms found in Jackson’s trilogy are almost definitely a playful deviation from Tolkien’s literary imaginings; it only takes a brief look at who Tolkien was and the historical context in which he wrote to understand why it’s so unlikely. How Did Tolkien Feel About Cannabis? J.R.R. Tolkien, born 1892, grew up in England where recreational cannabis consumption was, during this time, almost entirely unheard of. Even its traditional medical uses were becoming “unfashionable,” replaced by newer forms of pain relief like aspirin. When England began its prohibition of narcotics in 1925 (at the Convention of Narcotic Control), consumable cannabis was a product of such insignificance, it was hardly even spoken of until much later. But other countries in the League of Nations – Egypt and Turkey – insisted hashish be prohibited. England followed in suit despite doubts of its enforcement. Tolkien’s comparison of himself to hobbits is also telling: “I am in fact a Hobbit (in all but size)…I smoke a pipe, and like good plain food (unrefrigerated), but detest French cooking.” Some also say that tobacco tins were used as storage in his home. So in summary, it would seem that pipe-weed isn’t at all a euphemism for cannabis, given the historical context in which Tolkien lived. Though it is unfair to say that Tolkien never used cannabis because he was a studious professor, a family man, and a devout Catholic, there exists very few cultural bridges between him and the demographics drawn to cannabis in both Tolkien’s earlier and later life. Coincidentally, the convergence of Tolkien and counterculture groups of the 60s and 70s is precisely where the cannabis connection was to be first forged. 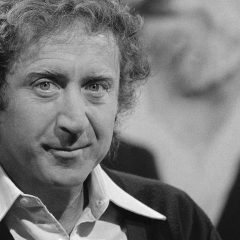 The Hobbit was published in 1937 and Lord of the Rings in 1955, and by time the 60s rolled around, a copy could be found in the hands of college students and young progressives far beyond the borders of England. “In the 1960s [Tolkien] was taken up by many members of the nascent ‘counter-culture’ largely because of his concern with environmental issues,” David Doughan of the Tolkien Society writes in his biography. With strong overtones of environmental sustainability, anti-industrialism, strong female characters like Arwen and Éowyn, and champion underdogs that stood no more than four feet tall, Tolkien’s books took on a widespread cult following because of their undeniably strong overlaps with civil rights, counterculture, and psychedelic drugs. “[Tolkien] could only deplore those whose idea of a great trip was to ingest The Lord of the Rings and LSD simultaneously,” Doughan adds in his biography. But even if his biographies make him sound like a prude, don’t write off the possibility that if Tolkien were a product of another time, he might have in fact preferred cannabis. A hint is left in his book Unfinished Tales, a collection of notes and stories edited and published later by his son Cristopher. 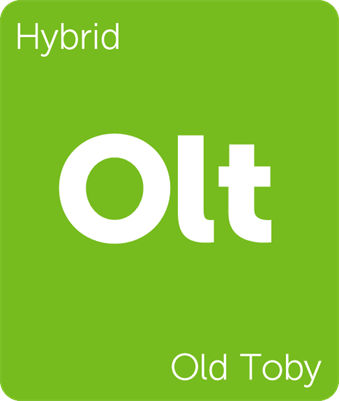 Perhaps Tolkien found mind-clearing qualities in tobacco that many find in cannabis. But regardless of what pipe-weed actually is, or what J.R.R. himself actually smoked, the plants are different means to facilitating same end that no scholar, reader, or critic can deny Tolkien intending: an appreciation toward detail, nature, and things as simple as a pipe full of your favorite herb. 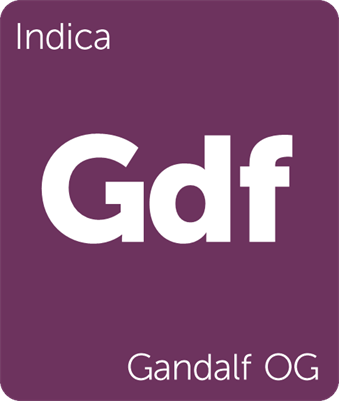 And might we suggest one of these LOTR-themed strains? 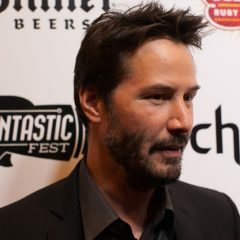 Is This Keanu Reeves Movie Character Stoned? Nicotine is proven to be temporarily mind sharpening. This is an excellent, very well-researched and put-together article. Well done. 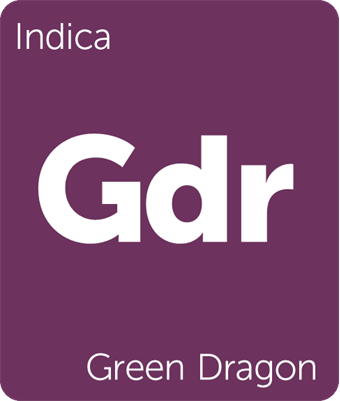 (1) Tolkien lived in a world where legal, recreationa cannabis was ubiquitous. I mean, there were THOUSANDS of products with cannabis being sold all across the world starting in 1850 through 1950. You could go into any pharmacy and buy a pack of Grimaults Cannabis Cigarrettes or Bombay cigarrettes or any number of other legal recreational cannabis products. The process of making Cannabis illegal started around 1900 as a reaction to the Cannabis-infused medicines (called “Snake Oil” in America) which were killing people since they had many other dangerous additives, like Morning Glory, Belladona etc. That process took another 50 years in England and America and my own grandfather remembered (not fondly) all of the legal recreational and medicinal Cannabis products sold in drug stores and gas-stations during his youth. (2) Tolkien and almost all of his friends were famous druggies. Just read any number of books about his life and the truth emerges! ALL DRUGS WERE LEGAL AT THIS TIME, and Tolkien experimented with many of them! Tolkien and his friends used to gather at one of the well-known public gardens in England and take mushrooms, smoke ganja and opium, drink absinthe and any number of other drugs most of you have never heard of. Two of his famous druggie author friends included Charles Lutwidge Dodgson (Alice in Wonderland) and C.S. Lewis (Chronicles of Narnia) and Hugo Dyson, Austin Farrer and Charles Williams, all of whom wrote about taking drugs with Lewis and Tolkien and described each other when high in very effusive terms “a roaring cateract of nonsense” etc. These druggie author friends called themselves “The Inklings” and they congregated in pubs like The Eagle and Child, or The King’s Arm where they would drink absinthe during the war because American troops were drinking all of the beer. Once they were good an high from the “Green Lady” with its infused opium, they would go for a walk in the Oxford Botanical Garden which the druggies called (drumroll please…….) “WONDERLAND”. (3) Tolkien’s son is the one who wrote the appendices in his books. Easily confirmed. Christopher Tolkien actually had to finish some of the stories for his deceased father too starting in 1973, and he writes about his decision to cover up his father’s lifestyle since so many of these Wonderland authors converted to Christianity later on. Most of the appendices to Tolkien’s books were written in the late 70’s and rewritten between ’83 to ’96. I’m not at all sorry to report that when J.R.R. Tolkien wrote about Gandalf getting mind-numbed on the “Hobbits Leaf” he was in fact writing about Cannabis. Your third point regarding the appendices is wholly in error. One can easily compare the different printings of The Lord of the Rings over the years and see that nothing substantial has been edited out. Your assertion was that they were being continually rewritten and they were not. What his son did in the history series was show the process of them being written in the first place which would necessarily include edits as would any piece of literature. Don’t get me wrong, I enjoy your somewhat conspiratorial reading however the substance just ain’t there. Wrong. Tolkien left virtually no appendices for his books. Christopher wrote about the process of not only creating the appendices, he also attempted to finish writing some of his father’s unfinished stories. The notes in the books I mentioned are very explicit that Christopher is writing the appendices using his father’s cryptic notes and letters. As more notes revealed themselves, many edits were made. This is all a matter of record. There is no hint of conspiracy here. There is only a lack of meticulous research. In fact this article is chock full of fallacies, errors, supposition and assumption. You seem not to understand the way these books are structured. Christopher Tolkien has published his father’s texts along with his father’s changes and revisions – the ‘history of edits’. Christopher Tolkien then also provides annotations and commentary (some of his father’s revisions of the text are, for instance, given in annotations to the text). The only works where Christopher Tolkien has done more than annotate and comment his father’s texts are the 1977 Silmarillion and the much later The Children of Húrin (and in the latter case, he has merely chosen between various versions and regularised names, spellings, etc. – apart from this very light regularising, every word of the narrative in The Children of Húrin is printed as written by J.R.R. Tolkien). Critique is always appreciated! 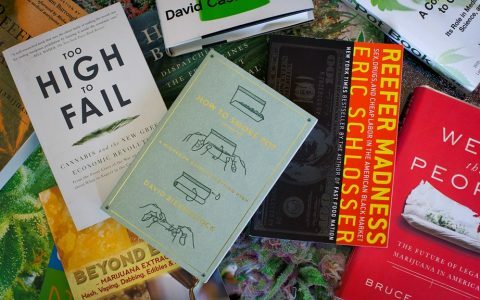 Would you mind sharing the titles of the books that dive into your first and second points? The information I came across was both scant and vague (and contradictory in many ways to these points), and I’d love to dive in with some updates if I can find get my hands on the sources to back it up. From what you’ve provided, they appear to cover facets of his life the biographies/letters I’ve read left out. The third point about the appendices is an important one, and I’ll refer to my copies of Lost Tales and Unfinished Tales to confirm. 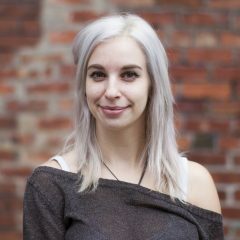 Thanks so much for reading and weighing in! I’m sure I could come up with some references Bailey. While on the subject though, perhaps you could do the same? You are making some pretty absolute statements without any citations except an appendice that wasn’t even written by Tolkein himself, and also your statements about how the recreational drug was nowhere to be fouund: “J.R.R. Tolkien, born 1892, grew up in England where recreational cannabis consumption was, during this time, almost entirely unheard of.” That is so wrong I don’t even know where to start. England began is prohibition of narcotics shortly before the American Revolution, led by the Royal Pharmaceutical Society. It didn’t last, probably because Queen Elizabeth had previously passed a law forcing every single citizen to grow Cannabis and it was just everywhere and impossible to control. In fact we get the word “Pot” from the Tudor’s Potager Gardens. The Pharmacy Act of 1868 was aimed not specifically at Opium but at the products which had opium AND CANNABIS in them. There were literally hundreds of these products and I assure you nobody was switching to aspirin because of any “fashionable” consideration (LOL!). The General Medical Council of 1863 was ineffective because what were they going to do – arrest every single citizen? The modern equivocation about “Nicotiana” is specious since it was CLEARLY PSYCHOACTIVE in Tolkein’s books. It was also called “Westmans WEED”, “Pipe WEED” and tobacco has never been grown as a weed, not even when Sir Walter Raleigh “discovered” it and took it back to Queen Elizabeth along with the “Indians WEED” as he called it. Of course, we all know Raleigh had been sent to the New World specifically to look for drugs, most specifically to secure a new source of Cannabis for the Crown (since Spain and France were pulling an embargo of England’s hemp supplies). Also called by Tolkein as “Galenas” or “Sweet Smelling HERB”. 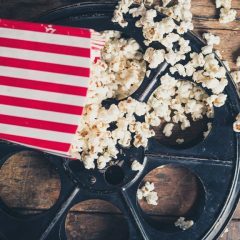 We should also note that when Tolkein was invited to “Hobbit Parties” it was Cannabis that people were smoking, and although he did enjoy Navy Cut tobacco in his pipes, he mixed it with Cannabis and was always amused when Tobacco companies ignorantly tried to get him to endorse their products. As Tolkein saw Prohibition unfold in front of him, he incorporated it into his books Bailey. As any Tolkein enthusiast should know, Saruman not only took up smoking the Leaf, but much of the war was fought over its control!!!!!! Remember when Merry and Pippen found stores of Shire “Pipe Weed” in Isengard’s stores, they failed to grasp the sinister implicatoins. And what movie watchers don’t see is that in the books Saruman gets addicted to the Weed, takes over the Shire and controls 100% of the various strains Longbottom Leaf, Southern Star, Old Toby, Southlinch etc. What Tolkein was saying was that Saruman represented the Royal Pharmaceutical Society and their attempt to control all drugs that Father God and Mother Nature gave to humanity. You do get that don’t you? America’s Revolution was famously fought over Cannabis. The last 13 letters from Benjamin Franklin to the King were almost solely protesting the 100% tax on Cannabis. When Benedict Arnold led the English up all of those rivers, they were targeting the secret Cannabis farms and Hemp factories established by Thomas Jefferson and for Tolkein, the King himself was clearly Saruman. During Tolkein’s life he could buy Grimault and Son’s Indian Cigarretes (made in Paris) in any pharmacy. Grimault’s cannabis cigarettes were a WORLD WIDE BRAND before 1870 and were sold in nearly every single nation on planet Earth up until around 1950. And even then the world fought to keep their Cannabis legal. The UNITED NATIONS passed a law in 1951 EXEMPTING Grimaults from the prohibitions of the Narcotic Conventions, although it was too late in America. And as I said before, Grimaults had lots and lots of competition. Bombay cannabis cigarrettes being one example that comes to mind. There were hundreds of “Cannabis Tinctures” sold legally in England and everywhere else during Tolkein’s life, and his own son remembers the medicine cabinet full of Cannabis products (which also had BELLADONA in them). In fact, in 1962 the United Nations made a declaration that during the 1925 and 1932 Narcotics Conventions, ALL Cannabis extracts and tinctures and cigarrettes being sold commercially WERE EXEMPT from prohibitions!!!! So you can see why I’m very confused and concerned about your claim that recreational cannabis during Tolkein’s lifetime was “almost entirely unheard of”. Not only were drugs incredibly ubiquitous, I mean EVERYWHERE and LEGAL during Tolkein’s early life, but the political narrative of his stories were CENTERED around the ongoing attempted prohibitions on Cannabis by the King and his wicked puppets at the RPS. Perhaps Leafley wants me to write a series of articles about the true Prohibition history of Cannabis? Since I seem to be the only one anymore that isn’t under some kind of history-redacting genjutsu? I mean, who benefits from this rewrite of history I’m reading in articles like this? Not the Hobbits nor Men nor good Wizards. I’m sure Saruman would love your story though… and all of the other Saruman’s of the world that want everyone to continue sleeping. The second and the third points made by Ben Samizdat are figments of his imagination and unconnected to reality. Christopher Tolkien has not written the appendices in any of Tolkien’s books. 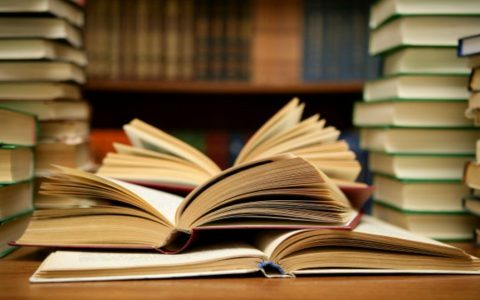 What he has done is to edit and publish (in many cases with commentary) much of his father’s writings (in some cases he has given permission to others to edit and publish). The suggestion that “Tolkien and almost all of his friends were famous druggies” is ludicrous – nothing of the kind has been even hinted at in any serious biographical work on Tolkien and / or the Inklings (Charles Williams, who was into the occult, may be the exception to this statement – I do not know much about Williams). There are only some four (five if you include the Letters) general biographical works that matter and a handful or so of more limited scope works (Oxford, Bag End, East Yorkshire, Birmingham, etc.). It is Tolkien himself who, in the prologue to The Lord of the Rings describes that which the Hobbits called ‘pipe-weed or leaf’ as “a variety probably of Nicotiana.”. And both in The Hobbit and The Lord of the Rings this is also described simply as ‘tobacco’. Any suggestion that Tolkien himself used cannabis / marijuana etc. or that he intended to reference this with the pipe-weed or leaf of the Hobbits is, frankly, merely stupid, and deserves no further attention. This does, of course, not in any way affect the contra-factual speculations in your last paragraphs – what if Tolkien had been a child of a different age? What if the war he had fought had been the Second World War? Troels engaged in an ad-hominem attack right off the bat which any psychologist would explain informs us that he has lost his end of the debate before it even started. JR Tolkein died in 1973. According to Christopher, several of his father”s stories in the franchise were unfinished. To finish the stories he had to read his fathers many notes and letters. This is his own story, told in his own words, in the appendices of The Book of Lost Tales (parts 1 and 2) and Unfinished Tales from Numenor and Middle Earth. I think Christopher did a wonderful job on these “UNFINISHED TALES” and “LOST TALES”. When you read the end notes you can clearly see that Christopher is writing the appendices, not only for these books but for all of his father’s other books, including the Nicotiana reference. The reason that JR Tolkein didn’t like being associated with his former drug use was that, just like most of the rest of the Inklings, Tolkein became a God-fearing Christian in his later life and wanted nothing to do with his drug-filled youth. We can’t blame Hammonds and Scull for repeating the Tolkein’s own historical redaction can we now? Yet it is still incumbent upon us to tell the truth for posterity. Troel’s supposition that Nicotiana was nicotine, based on one single appendice that was written by Christopher is rather hopeful at best, completely specious at worst. Troel’s etymology was a refreshing attempt to give his position merit, but it was lacking. “Weed” is an Old English word that referred to “GRASS” and “HERB”. The OED claims that Tobacco was called “weed” as of 1600, but Sir Walter Raleigh didn’t even bring the first example into Britain until 1586, and tobacco wasn’t cultivated there until much later, so Douglas Harper is mistaken here, just as he is mistaken in claiming that Marijuana was called weed only as of 1920. The origin of the word Weed was Old Frisian, for a garment that was made from fiber and then dyed with the blue Woed plant. In fact “Waed” means “to WEAVE”. Can you make garments from Tobacco? NO. But Hemp-retting for garment fibers is at least 10,000 years old. And what was Walter Raleighs great commission? It was to find new sources of HEMP for the crown, since Spain and France were engaged in an Embargo of Britains Hemp supplies. Having found ample sources of Cannabis-Hemp in the New World, in 1583 Queen Elizabeth gave Raleigh a charter to found a colony in what came to be called “Virginia” after the Virgin Queen. In 1607 King James commissioned the Virginia Commonwealth as the English version of the East India Company. Virginia was thus formed as a Cannabis growing State, and communications from the Crown to the colony were full of the word “WEED” in reference to CANNABIS. In fact Virginia was founded to grow a great many different drugs for England, including the famous Jimson-WEED (1676) which caused mass-hallucinations when it was sold in England LOLOLOL~!!!!! So Troel’s claim that “weed” was a “hobbitish” word is completely unmerited armchair supposition. There is no need for Troel’s to ask the “what if’s” (falsely attributed to me LOLOL!!!) if he understood the history of the American Revolution as a Commodity War being fought over Cannabis, a War being fought with the agents of the Royal Pharmaceutical Society. Don’t believe me? The “Red Coats” were a private security group founded and funded by the RPS. When the Crown sent its too-few military overseas, they would pay the RPS to use their thugs as a form of Homeland Security. When the Red Coats were working for the State, they word copper badges to show they were now deputized, and this is where we get the word “COPS”. Because of their ongoing war with France and Spain, England could not afford to send too many troops to the American colonies to keep order, so they commissioned the RPS Red Coats again, and much of the American Revolution was fought against these PRIVATE AGENTS. While I’m on the subject, the Red Coats formed a political party, at first called the “Royalists” and then the “Monarchists” but by the time of the Revolution they were called the “CONSERVATIVES”, who wore RED, fighting against the self-identified “LIBERALS” (see George Washington’s letters on this subject) who wore BLUE. Just in case anyone wanted to know where the modern battle between Republicans and Democrats began (it was an age-old war though: see Plato’s Aristocrats verses the Democrats). All of this was common knowledge at one point, and JR Tolkein didnt’t need anyone to explain it to him as most of you children do…. There are two salient facts I’m not going to allow anybody to dismisss here. (1) The fact is the characters that smoke the pipe weed are experiencing a pyschotropic experience, there is no denying this unless one is being willfully ignorant. (2) The entire franchise from beginning to end was Tolkein’s social commentary on the Prohibitions he was seeing unfold from the recent past and through his current life. There is no denying this IF ONE HAS READ THE BOOKS OBJECTIVELY. Frex, Saruman was focused on the Shire SOLELY because of the Hobbits pipe-weed. Not only do the Hobbits find their weed in the stores of Isengard, but after the heroes let Saruman go, he finds his way to the Shire where he takes it over completely. The last great tale from the Lord of the Rings is one very few modern fans understand — our intrepid hobbits return to the Shire and find Saruman is now running a mafia formed specifically to control the weed supplies. Here Saruman’s name is “Sharkey”. A “Sharker” (from 1610) was the sailors word for a “Sea Attorney” who would accept Hemp as payment in lieu of bullion. Just to remind anybody that may claim otherwise – from 1600 to 1800 many governments paid their employees and troops in Hemp. Frex, after America won its revolution, its Federal Employees and troops were paid almost solely in Cannabis for decades, the modern equivalent of the Roman Salary (paid in Salt). (3) Tolkein was well aware of Aristotle’s “Three Act Process” – Introduce the Conflict, Develop the Conflict, Resolve the Conflict. In the movies, Gandalf sails off, everyone cries and hugs and the audience goes home. In the books though, the Hobbit war with Saruman is the final act. They are fighting back against the evil forces that sought to control their precious psychotropic weed. Clearly Tolkein is saying that the REAL conflict was being fought over this special DRUG, and thus the entire franchise is a social-commentary, not specifically against the horrors of WW1 and WW2, but it is a commentary against the PROHIBITIONS that were being put in place against Cannabis. The fact that “weed” clearly referred to Cannabis shouldn’t be surprising. (1) Britain was experiencing an embargo from Spain and France. (3) She then passed a law forcing every farmer to grow Hemp as 50% of their crops. (4) She then passed a law forcing every citizen to grow Hemp. But how? (5) Elizabeth’s response was to show them her own Tudor “Potager Garden”. The citizens were to use POTS to grow their Hemp, because every little bit helped. From this we get the slang “Pot” for Cannabis. (6) By law, the citizens had to sell their seeds to the Queen. She then had her agents take the seed to the New World to establish massive Cannabis farms which were to grow Hemp for Britain so she might hope to muster a Navy and defend herself against invasion from France. People today just cannot fathom how many tonnes of Hemp went into a single ship. ALL of the “Canvas” was made from “Cannabis”, and ALL of the rope and ALL of the lamp-oil. This is precisely where we get the word “POT” for Cannabis, from the same exact people who were also giving us the word “WEED” for the plant. The word “Marijuana” is not Mexican (LOLOL!!!) it is Spanish and means the Flower (Juana) of Love (Mari) and it also stems from this critical era. All of you could do with a much more in-depth study of this juncture of history to be honest. And as long as I’m being honest, Troel’s suggestion that my explanation is “merely stupid, and deserves no further attention” is a perfect mirror of his name. He is merely a TROLL who engages in ad-hominem attacks which automatially inform us that he knows he is wrong before he types a single word. Parapraxis means that Troel’s is worried that he and his Trolling “deserves no further attention” and so it does. HAVE A NICE DAY. Back in 1970, Huntington Beach, I was 16 yrs old. It was winter, I had a bad case of strep throat. It was going around. To add to the misery, I had chronic asthma with it. My buddy also had the strep throat, so as both our parents were at work, he stayed at my house, be miserable together. We decided to read the Trilogy, having read The Hobbit. About the second day, we hadn’t eaten, sore, miserable.. throat spray no good.We decided to pack a bowl of “pipe weed”. First hit burnt like crazy, waited for a bit, took another. Long story short.. we were soon in the fridge, attacking leftovers. I never had to take that terrible Tedral anymore, nor use an inhaler again. And by the by, it’s a fantasy, whatever your personal imagination tells you it is. I can’t imagine why you would think that Joe. 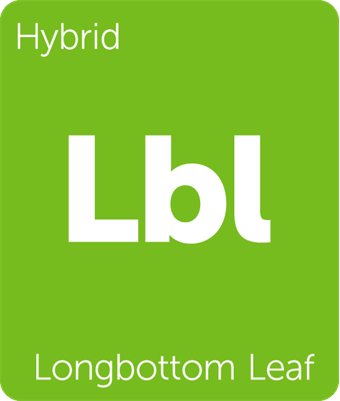 Two hobbits had a small bag of Long-bottom Leaf to last them for an adventure that took almost a year. Gandalf had a tiny pouch of Leaf on two adventures that each lasted him a year. Bilbo had a small bag of Leaf that lasted him for almost a year. If I could make a tiny bag of ganja last a year I would truly be a wizard. Not too conducive to your drug-crazed maniac scenario. Did you ever even read the stories? OK, just for the fun of answering you. They smoke some good ganja, they where tripping, talking trees, arguing with a ring. The may have been on some mushrooms. LOL Great movies. The psychedelic aspect of Tolkein’s stories had a base in his drug use with the rest of the Inklings. Yes, they took some very powerful drugs, much much more powerful than most of what we use today. Tolkein used Opium, Belladona, Morning Glory, Mushrooms and many other drugs and as we can see, the Inklings had wonderful vivid drug-influenced imaginations and they liberally incorporated drugs into their stories. None of that makes pot smokers murderous though. You know they were books first, right? HayYYyyhhh MANnnn! You read those books, you are lucky. Those book may have been written in bambu papers, that may be the only reason they survived time. That may be why they smoke pipes to save the books from going in smoke.LOL. There have been many herbs smoked all over the world not just tobacco, cannabis, and opium. The Hobbits pipe weed may have been just that. The effects of the pipe weed suggest that there were psychotropic effects from the pipe weed. Growing up in the 70’s my brother and his friends were all both pot-heads and Tolkien fans…so Ive always associated them together…and the denial that they are not is kinda disingenuous to my mind.